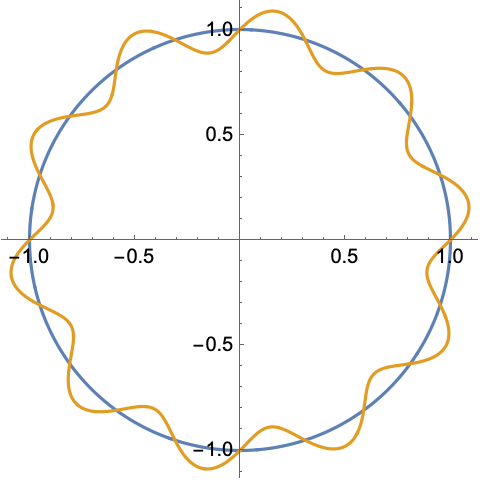 generates a polar plot of a curve with radius r as a function of angle θ.
makes a polar plot of curves with radius functions r1, r2, …. The angle is measured in radians, counterclockwise from the positive axis. The , position corresponding to , is , . The value of need not be between and . PolarPlot treats the variable as local, effectively using Block. PolarPlot has attribute HoldAll and evaluates functions only after assigning specific numerical values to . In some cases, it may be more efficient to use Evaluate to evaluate functions symbolically before specific numerical values are assigned to . 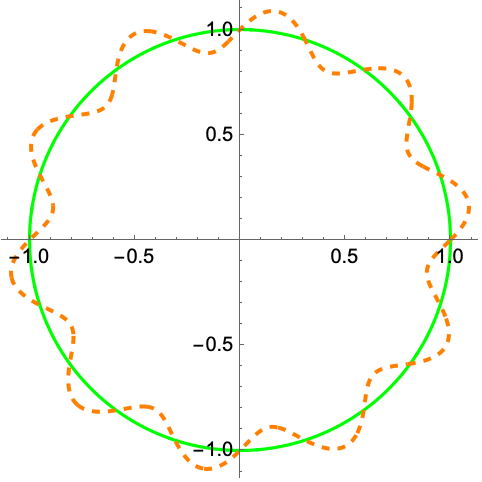 No curve is drawn in any region where a function evaluates to None. PolarPlot initially evaluates functions at a number of equally spaced sample points specified by PlotPoints. Then it uses an adaptive algorithm to choose additional sample points, subdividing a given interval at most MaxRecursion times. You should realize that with the finite number of sample points used, it is possible for PolarPlot to miss features in your function. To check your results, you should try increasing the settings for PlotPoints and MaxRecursion. On[PolarPlot::accbend] makes PolarPlot print a message if it is unable to reach a certain smoothness of curve. With Mesh->All, PolarPlot will explicitly draw a point at every position on each curve where each function was sampled. The arguments supplied to functions in MeshFunctions and RegionFunction are x, y, θ, r. Functions in ColorFunction are by default supplied with scaled versions of these arguments. 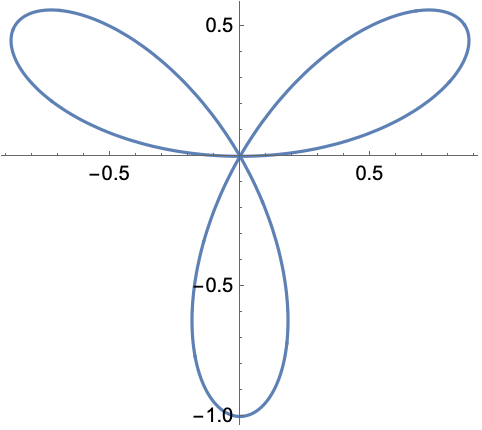 The functions are evaluated all along each curve. With the default settings Exclusions->Automatic and ExclusionsStyle->None, PolarPlot breaks curves at discontinuities it detects. Exclusions->None joins across discontinuities.